Dermaplaning is a method of exfoliation that requires a surgical blade to gently remove dead skin from the face. This facial should be completed by a licensed aesthetician or a board-certified dermatologist. It is beneficial for all skin types but is especially helpful for those that suffer from dry skin. This treatment is not recommended for those with acne since it requires gliding a blade across the skin. Dermaplaning is a painless process that removes dead skin as well as peach fuzz. This article will discuss the reasons people seek the procedure as well the most common myth about shaving the face. This article will also discuss an alternative to getting a professional treatment. People receive a dermaplaning treatment for various reasons. One reason is because the procedure is a method of exfoliation. Dead skin and peach fuzz are all removed during the process. The skin feels smooth afterwards and the removal of dead skin and peach fuzz allow for skin care products to better absorb into the skin. Makeup also goes on much smoother and the finish is more flawless. Dermaplaning is also a great treatment to help with dry skin. While it doesn’t completely get rid of dry skin, skin does feel much improved after the treatment and moisturizers absorb into the skin with more effectiveness. One of the most common myths about shaving off facial hair for women, is that the hair will grow back thicker and darker. This statement is false. 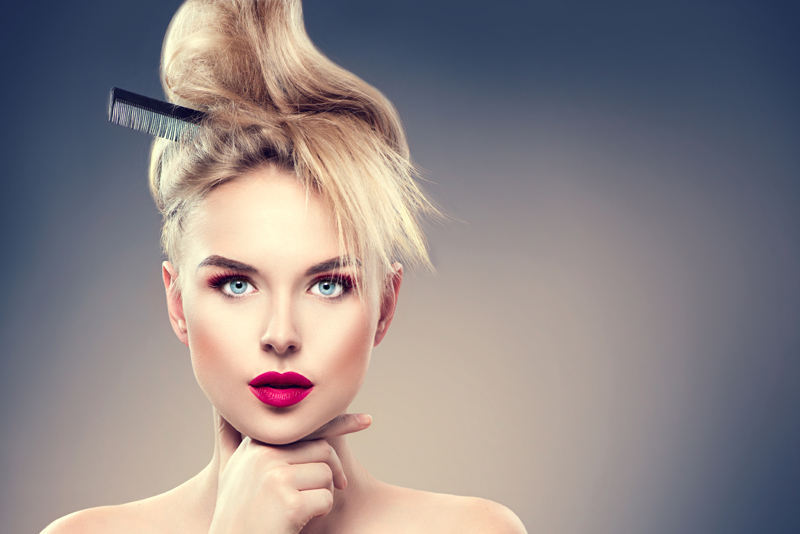 One reason that the hair can appear to grow back thicker or darker is because once a person gets used to not having hair on the face, the reappearance of hair can be noticeable and alarming. The hair did not actually grow back thicker or darker, the person was just used to not seeing it at all. Another reason hair can appear to change is because before shaving the hair is fine and pointed; once the hair is cut the ends become blunt. Again, the hair has not changed in thickness or color. If the hair is not shaved again, it will eventually taper off to a fine point. There will be no stubble, no five o’clock shadow, no beard or mustache. The hair will grow back and for the most part look exactly the same as before. Everyone cannot afford the expense of dermaplaning and keeping up with the treatments. Some people may not want to pay that kind of money. The alternative is to do it at home. This method is not uncommon and there are many videos that give a step by step on how to shave at home. The tools required are a towel, paper towel, and a sterilized and sharp eyebrow razor. First, clean the face and hands. Let the face air dry or pat it dry with a towel. The process of shaving should be done in sections. Pick a section of the face and hold the skin taut. Holding the razor at a forty-five degree angle, slowly and gently shave downwards in short strokes. The dead skin and hair will be noticeable as it starts to come off. Remember to occasionally clean the blade on the paper towel. Only do at the most three passes in a given area. Hold the blade at a forty-five degree angle and keep the skin taut to avoid cutting the skin. Stay away from the under-eye area, nose, and be cautious around the eyebrows. Make sure to avoid any bumps , pimples, or acne. Once finished, gently rinse the face again and apply a moisturizer. If going into the sun apply a sunscreen because the skin will be sensitive after the treatment. The choice to receive a dermaplaning treatment is not for everyone. Some may choose microdermabrasion instead. The main purpose of dermaplaning is to rid the face of dead skin, but removing the peach fuzz is an added bonus. The hair does not grow back thicker or darker, however, if this is a concern then do skip the treatment. Speak with a dermatologist beforehand to determine if this method of exfoliation would be personally beneficial. Content copyright © 2018 by Katrina Simmons. All rights reserved. This content was written by Katrina Simmons. If you wish to use this content in any manner, you need written permission. Contact Katrina Simmons for details. Welcome to the Cosmetics forum! If you can’t stop talking about makeup and skincare, this is the place to do it. Here you can ask questions as well as learn and help others. Subscribe for free weekly updates from this Cosmetics site.